Russian air strikes in Syria have killed over 400 civilians since September this year, monitoring groups say. The UK-based Syrian Observatory for Human Rights (SOHR) said the death toll from September 30 - when the strikes were launched - until November 20 stood at 403 civilians, a figure that includes 97 children. Meanwhile, the Syrian Network for Human Rights (SNHR), another monitoring group, said at least 526 were killed, including 137 children, since Russia launched its first air strikes. Russia's air force flew 141 sorties and hit 472 targets in Syria over the weekend, the RIA news agency quoted the country's defence ministry as saying on Monday. Russian jets hit targets in Aleppo, Damascus, Idlib, Latakia, Hama, Raqqa, Homs, and Deir Az Zor provinces, the ministry said. On Sunday, Syrian government air strikes killed at least seven people, including three children, in Douma just outside of the capital Damascus, SOHR said. It said at least seven civilians were killed on Saturday in government air strikes in Aleppo. On Friday, Russia fired cruise missiles from the Caspian Sea for a fourth day against what it described as ISIL targets. Russian and Syrian officials said their jets hit 50 ISIL targets in Deir Az Zor province, the most intense air raids since Russia began its air strikes. Since last October, at least 42,234 air strikes that targeted farms, villages, towns and cities have been documented, according to SOHR. It said over 22,370 so-called barrel bombs were dropped across the country in that period resulting in a total of 6,889 civilians deaths, including 1,436 children. 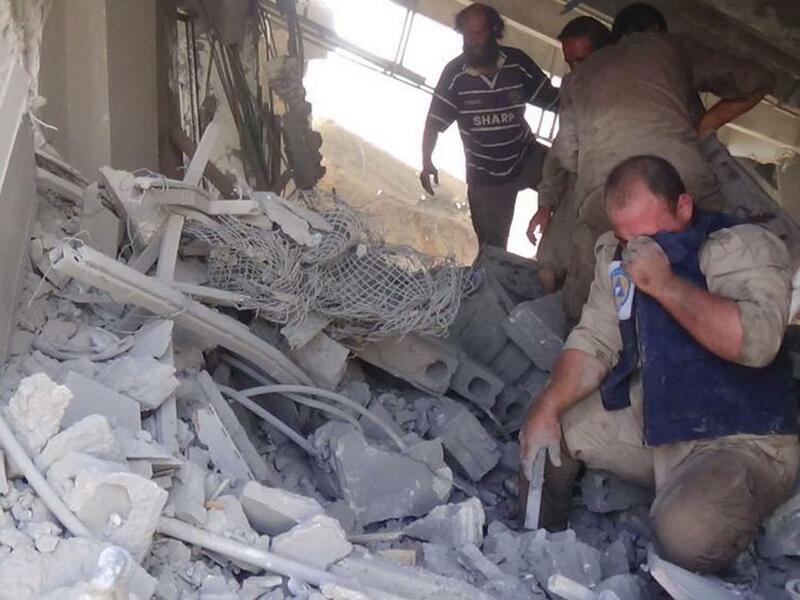 Another 35,000 civilians have been injured. At least 100,000 people fled from Aleppo due to Russian air strikes, SNHR said, while another 1,000 fled a camp for the displaced in Atma, in Idlib city's suburbs. Assad said what is happening in Syria was not a civil war but a war, he told Phoenix, a Chinese television channel. You can say this is a civil war when you have a certain line that divides between different components of a certain society, whether sectarian or ethnic or maybe political line, something that we don't have in Syria," he said on Sunday. "Civil war has internal factors, not states supporting terrorists who come to Syria while they announce publicly that their aim is to change the state or, like what they call it, the regime." Assad also said that following the Russian intervention, the situation in Syria had improved in a "very good way".